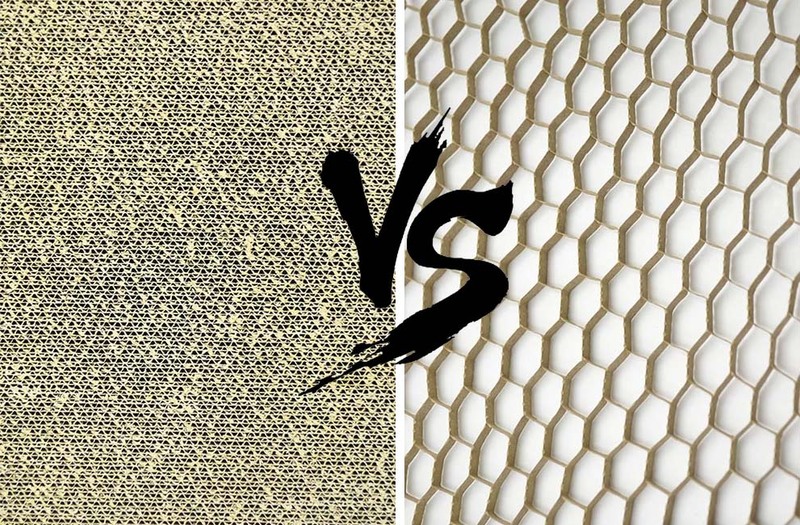 It’s one of the questions that we are often asked, “What is the difference between open-cell (honeycomb) and closed-cell (Xanita board)?” Looking at sheets with their respective core covered it can be hard to tell what the difference is between the two, but they are significant. The main difference between the two boards comes down to the design of their respective cores. 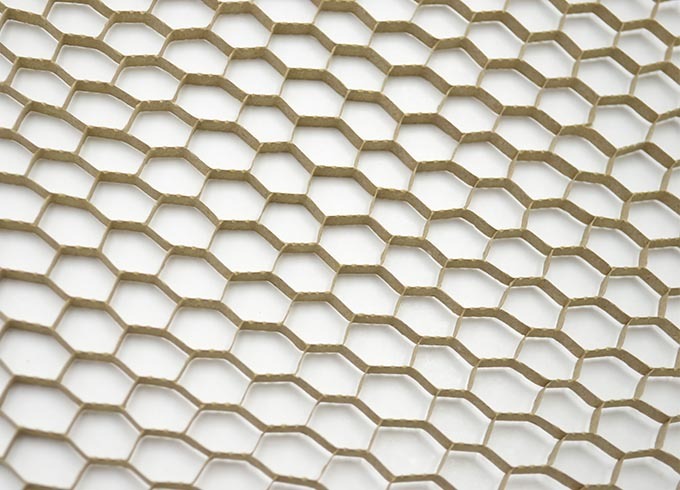 Honeycomb is designed to make a rigid board using as little material as possible. Xanita board on the other hand is designed with a much denser core for three dimensional load bearing applications, and as a sustainable alternative to MDF. In terms of cost, closed-cell products like Xanita board are premium products and will always come in at higher cost than their honeycomb counterparts. The benefit that you get from closed cell is a better finished product and ability to make load bearing structural applications. The two really shouldn’t be compared side by side. Xanita board is a high strength engineered paper product. We often make use of the hashtag #papercandothat to further emphasise that point, especially when we show all of the applications Xanita board is suitable for, many of which most people wouldn’t even consider… Okay, so how strong is Xanita board really? – The current version of Xanita board core has a crush strength of 60 tonnes per square meter, more than double the crush strength of honeycomb and that isn’t even considering the cheaply manufactured honeycomb options available. To put this into perspective, Xanita board core can hold the weight of an average sized vehicle. Closed-cell boards are characterised by their small cell size 4mm or smaller, honeycomb boards on the other hand have large open hexagonal cells not smaller than 10mm in diameter and often bigger than 20mm in diameter. Closed-cell boards offer a larger bonding surface for liners and as a result have better adhesion and offer a smoother more consistent printing surface. 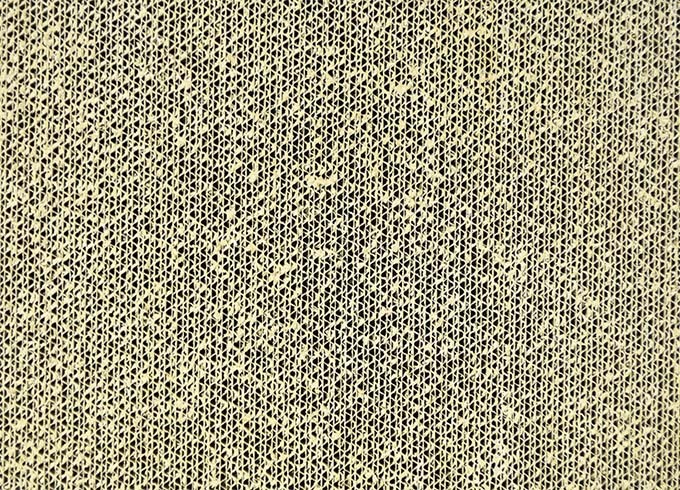 Honeycomb is often susceptible to a dimpling effect due to the cavities below the liner. The denser core of Xanita board is also more suited to CNC cutting than it’s honeycomb counterparts, the v-cut in particular is where the difference really shows. Because honeycomb doesn’t have as much core material between the liners the 90 degree fold isn’t as clean as it is with Xanita board. More significantly honeycomb boards tend to lose structural integrity in v-cut areas, whereas this is not the case with Xanita board and other closed-cell products. When it comes to applications honeycomb board is more suited to signage and basic structural applications with little or no load bearing needs. Although Xanita board can be comfortably used for signage applications, it really comes into its own when used for structural load bearing applications like point-of-sale displays or exhibition stands. There is a need for both open and closed-cell products in the market, hopefully now you will know which is best suited for your next project.